Whilst it’s been rumoured for a number of months, Korean electronics giant Samsung hasn’t confirmed that it will outfit its new flagship Android smartphone — referred to as the Galaxy S III — with its new quad-core Exynos processors. That was until today, when an unnamed Samsung executive told the Korea Times that one of its 32-nanometer chips will debut in the company’s much-anticipated handset. Last year, Samsung updated the the kernel specification for its new processor on Kernel.org, stating that it would be marketed as a Exynos 4412 chip that would feature four processing-cores. The chip has a 32-nanometer quad-core design with ARM Cortex-A9 cores running at speeds up to 1.5 GHz. With news of quad-core processors dominating the press lately, we expect Samsung to equip its latest Android devices with the Exynos 4412 — although nothing is certain at this point. Performance-wise, the 32-nanometer processor will provide up to 26% more than Samsung’s current 45-nanometer line-up, with battery life improvements by more than half. However, it is not known which GPU (graphics processing unit) Samsung intends to line-up alongside its quad-core chip, which will be important to die-hard smartphone fans. Many will be looking to compare Samsung’s overall offering with Nvidia’s Tegra 3 technology, Apple’s A5X processor and Qualcomm’s new dual-core Krait chips (which are utilised in HTC’s upcoming One range of GSM and LTE Android handsets). The unnamed Samsung executive made the comments to the Korea Times after it was revealed that the company would be reducing its reliance on Qualcomm, the processor maker with which it has a cross-licensing deal for its single-chip solutions until 2024, and using its own solutions. “We don’t think there will be big technology-related problems as we have already tested our telecommunications chips in some smartphones and tablets for consumers in North America. Also, Google’s first reference mobile, the Galaxy Nexus, is using Samsung’s telecom chips,’’ said the executive. Samsung has a stronger intent to lower its dependence on Qualcomm and our technicians believe that we have made significant progress in producing logic-based chips for high-end devices, combined logic and memory chips for graphic controllers and core communication chips for Internet-enabled consumer devices,’’ he added. Given that Samsung is now one of the world’s top smartphone makers, it has galvanised its chip-making business to expand and manage its own range of telecoms chips. Samsung is already the world’s top memory chipmaker but shifting the focus to non-memory chips would help improve the company’s margins in the hugely competitive fabrication market. “If Samsung successfully strengthens its management for telecommunications chips, then it expects to see more revenue from smartphones and tablets. That’s the scenario we hope,’’ the Samsung executive notes. 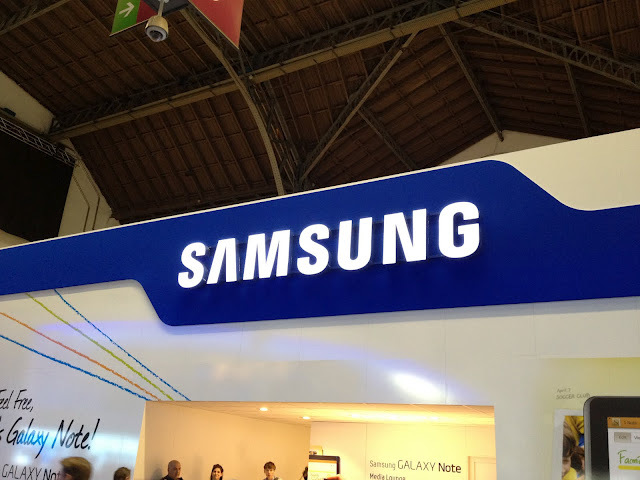 Samsung has said that it will debut the Galaxy S III before the second half of the year at one of the company’s own press events. The rumour mill is already churning out renders of the device, but whether they are real is highly doubtful.